George Jones Beck (1841-1925) was born in Foleshill, Coventry. His start to life was thrown upside down very early on. His father Jeremiah Beck died when he was just three years old. Being the eldest child, growing up fast was to be his only option, supporting his mother Jane who worked hard as a dress maker. In the 1861 census George aged 20, was employed at the local colliery and still living with his mother at Charity Farm, Collycroft, along with his younger brother Jeremiah Jnr (16) and a lodger to help pay the bills. At some point during the following few years, George started working for a relatively small brick and tile works in Stockingford owned originally by Mr John Rawlins. George was not only satisfied with a better job, on the 28th July 1867 he married Emily Horton at St Paul Church, Stockingford, he was well and truly in a good place, life couldn't have been much different from his early years in Bedworth. His mother, after toiling for many years to keep the family fed, would now get her deserved rest living with George and Emily in Swan Lane, Stockingford. During 1896 the Nuneaton Observer were given a guided tour of No1 Brickyard and it was down to 'Mr Beck' to show the reporter around. In his article (below) the mode of transport from the clay bed to the mill top is explained, something that the established George, now classed as a civil engineer had been involved in himself. Reginald loved finding new ways to help speed up production and this was perfect for the brickyard. 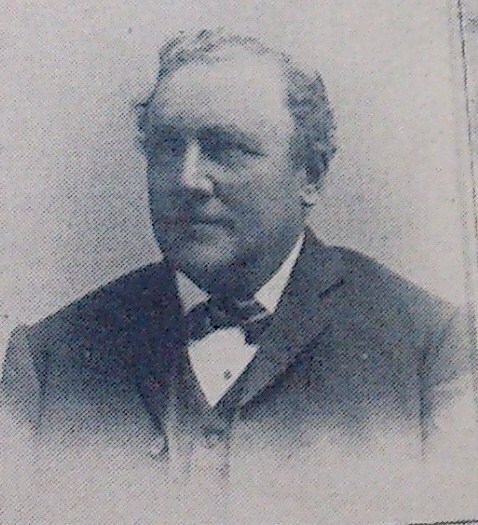 He became an important cog at Stanley Brothers and was included in the Coronation Souvenir Photographic Booklet of 1902 (above), along with all the other Brickyard Officials at the time. 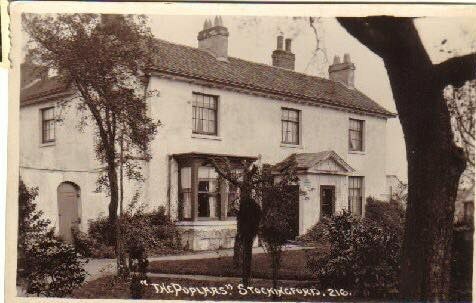 In September of 1896, Mr A.H.Rogers, Managing Director at Stanley Brothers, decided to move out of his home 'The Poplars', a very luxurious homestead (now the housing complex off Arbury Road). George, his wife and nine children moved in and for nearly ten years the family lived in this lovely home, having worked for Stanley Bros close to forty years he deserved this bit of good fortune. Problem is things don't last forever, Stanley Bros were finding things hard, the building trade hitting rock bottom. Dr Broadbent made a recommendation to the board that they no longer needed George's services and he can be offered a redundancy package. The deal was accepted and George retired from the company with his head held high, continuing to live at The Poplars for a little while longer, before downsizing to Manor Court Road seeing out his days there, passing away on the 8th April 1925. This man showed that with great endeavor and a determination to succeed, you can better your life. George was given the responsibility of managing and designing time saving machinery for Stanley Bros. Reginald and Co had great faith in his abilities and his early life experiences put him in good stead.